Pittsburgh PA: View of Brady Stewart Studio's darkroom at 725 Liberty Avenue. 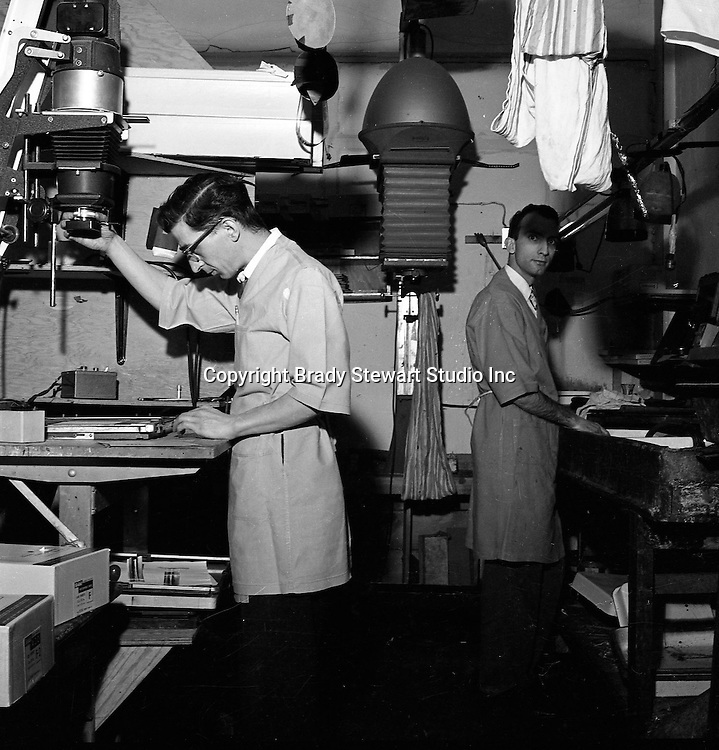 Ross Catanza (left) is working at the 4"x5" enlarger and Jim Garvey (right) is developing the prints. The big 8"x10" enlarger in the background.